Taken from the album "Young on the Run" released just last year in 2017, comes a track titled "Hard to be Sad In Nashville" by Chris Pietrangelo. This being his latest project, as it takes not rock music, as was in his other act Fingertrick, but goes into another direction that Nashville and Tennessee in general is known mostly for, that being country music of course. As that is the genre of choice for him, he takes country/roots oriented styling's into his hands, making not just an album of fine tuning. But an accompanying single that makes girls swoon and guys holler with delight. This soft hitting country tune, that is "Hard to be Sad In Nashville", captures more of a ballad essence, with a slow dance feeling. You get this wholesome feeling, of being comforted yet welcomed as well. It's hard to depict really, you are just stricken with emotions, by hearing it. It brings a smile across your face even. The soothing vocalization, with moving instrumentals, just makes it come full circle really. His take on country music, is a lot like the other country artists and bands out there currently, but the way he does it, just makes it sound more modernized, young, and hip even. He is like the John Mayor or Gavin DeGraw, of the country kind of the genre spectrum. Being young yet funky, his ways of creating said genre, just makes the music be more fun. It's also how the rest of the material off the album, of which this track comes from, sounds like too. As it falls into place, making it be grounded yet straight forward as well. 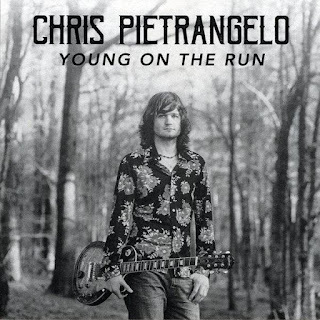 If country music was never a type of music for your likes, perhaps giving Chris Pietrangelo a try of listening in, would turn your head the other way about it. No harm on hearing what he has to express upon his music, here, because it sparks modernization for the next generation of music listeners, country or otherwise.